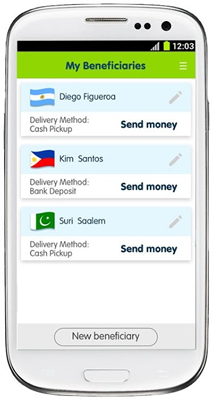 Service description: Bank to bank international money transfers and cash pick-up via online platform. Website Languages: English, German, Spanish, French, Italian, Polish, Dutch and Portuguese. Review Summary: Small World FS is a payment service provider, offering a secure and quick way to send and receive money to 195 countries worldwide. Funding is done online via debit or credit card. Recommendation: Similar in terms of friendliness to Transferwise, but a lot more expensive. We do not recommend using it for bank-to-bank transfers simply because of the rates, despite its very friendly and easy to use platform. We do find the company to be excellent in every other respect. SmallWorldFS uses a transparent fee system. That means you can view exactly how much money you will pay and the recipient will get, on their website. The rates and fees vary between different destinations and obviously depending upon whether you fund your transfer online or through a bank transfer, and whether the recipient will receive the funds into his bank account or withdraw them as cash. Below you can find several live comparisons with have made between Small World FS fees (based on their website) versus other companies. It is definitely true that Small World FS is more diverse than its competition. Regarding cash transfers, it is competing against very expensive services like Western Union and Moneygram (which you can read about here), and the service is still considered expensive compared to its competitors. Small World FS has a total of five local offices with four spread around Europe and one in New York, USA. This means that as a European you will get pretty good support. Things might be slightly different if you’re a customer from Asia, Africa or Australia. LCC Trans-Sending Ltd is authorised by the Financial Conduct Authority under the Payment Services Regulations 2009, registration number 504482 for the provision of payment services. Everyone wants to tap the ever-growing mobile market and SmallWorld makes no exception with the creation of a mobile app for its service for both Android and iOS. If you want to check it out on your own, here are the links for Android and iOS. After submitting this information, you will receive an email to the address you provided. 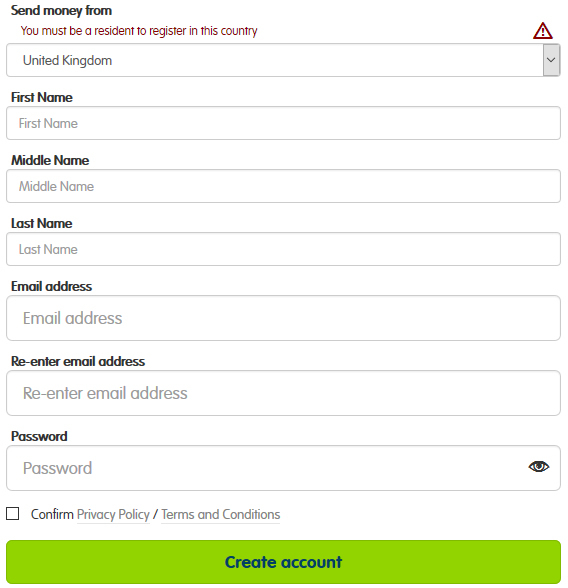 Click on the Accept & Confirm link, and you will be redirected to their website to log in to your newly made account. And that’s it. The signup process is done in a matter of minutes and just 3 steps. To be updated with all the news about Small World FS, be sure to check out their News section of the website. From time to time, they offer coupon codes that will waive the transfer fee. Great service with a friendly and easy to use platform. The transparent way that the fees are shown to the clients before making a transfer, gives a great incentive for people to continue using it because it provides a great deal of trust.